Nearly a year after it opened, Latitude 44 hot yoga studio is hotter than ever. 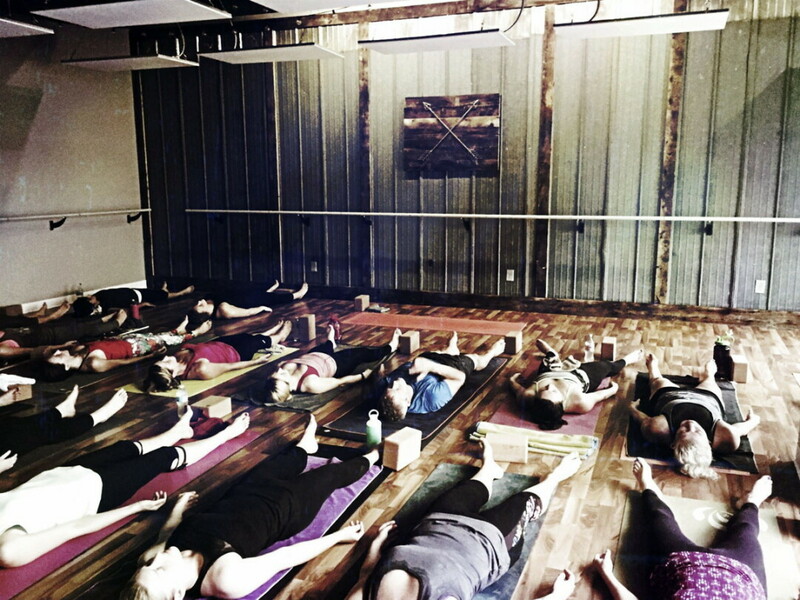 The owner, Amy Erickson, began instructing at the space, 313 E. Madison St., last Aug. 15. In this past year, the business has won the Jump-Start Downtown business competition grant and has risen in popularity in the community with destination yoga events, the most notable being the International Day of Yoga celebration at Phoenix Park. Erickson instructed a free yoga class under the pavilion, which attracted a large number of local yogis. Also in the last 11 months, the number of students attending Latitude 44 has steadily increased to the point where classes are jam-packed, and some folks have to be turned away. This issue inspired the most exciting development in the business: an expansion that will double the size of its space. Latitude 44 will take over a neighboring space that currently houses Fun Dye Factory, which will relocate to a perfect spot directly across from the children’s play area in Oakwood Mall. The studio will officially own the new space on July 15 and plans to start construction at the end of July. Erickson hopes it will open Oct. 1, in time to welcome more students into the hot yoga room as the weather begins to cool. Once the project is complete, the studio will have two yoga rooms functioning during busy times to accommodate the overflow of students, as well as a child care center for the youngsters of yoga moms. Erickson said the additional space will also allow the business to expand its storage space and apparel selection. There will be more times available, and more space, for the numerous classes offered, including barre instructor training and Karma yoga (a monthly class that is free to students in exchange for donations to a charity or family in need). Latitude 44 events will also continue to grow and spread across the Chippewa Valley. Several destination yoga classes are planned: one at Autumn Harvest Winery July 17 and another at Leinie’s Lodge Aug. 17. The second annual Yoga on the Bridge event, where attendees can downward-dog over rushing water on the Grand Avenue Bridge, is also coming up Aug. 6. Based on the success of this last year, it is almost certain that Latitude 44 Yoga Studio will name-stay for a while.